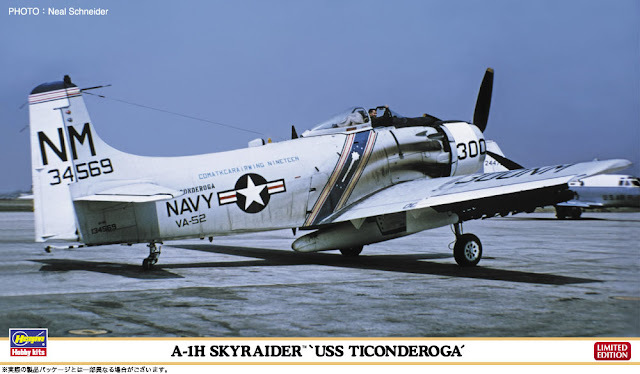 Sheer reliability and massive ordnance capacity kept the piston-powered Skyraiders flying well into the "Jet Age." Millions of pounds of ordnance were dropped by the Skyraiders against ground targets in Korea and Vietnam. The late A-1H version could carry up to 3,500 pounds (1,600 kg) of ordnance and was equipped with a combination bomb ejector/bomb director. This limited edition kit combo features two models and two marking options.